Tonight's program will consist of rarely-seen Temple Ov Psychick Youth ritual videos (circa 1990), a newly completed piece by Breyer P-Orridge, Weird Woman (2010), and The Salivation Army (2002), Last 7 Words (2009), Treleaven's affectionate and ethereal Super-8 portrait of Breyer P-Orridge with a score by Locrian, and Incantation (2009) by Terence Hannum. Scott Treleaven's upcoming solo exhibition will also be on view at Silverman gallery (http://www.silverman-gallery.com) in San Francisco, March 18 - April 23, 2011. Genesis Breyer P-Orridge was born in Manchester, England in 1950. S/he was a member of the Kinetic action group Exploding Galaxy/Transmedia Exploration from 1969-1970. S/he conceived of and founded the seminal British performance art group Coum Transmissions in 1969 and was the co-founder of Throbbing Gristle, Psychic TV, and the spoken word/ambient music performance group Thee Majesty. Throughout Genesis’ long career, s/he has worked and collaborated with William S. Burroughs, Brion Gysin, Derek Jarman and Dr. Timothy Leary, among others. She explores human behavior, ritual, and personality modification through performances that create neo-shamanic collaged paintings called “Sigils." Her most recent work documents the physical alterations s/he and her partner, the late Lady Jaye, endured within their project Pandrogeny, about re-union and re-solution of male and female to a perfecting hermaphroditic state. "Breyer P-Orridge" is the 3rd Being created by the collaborative fusion of the two artists, of which they are each an active half. Scott Treleaven was born in Canada, in 1972. 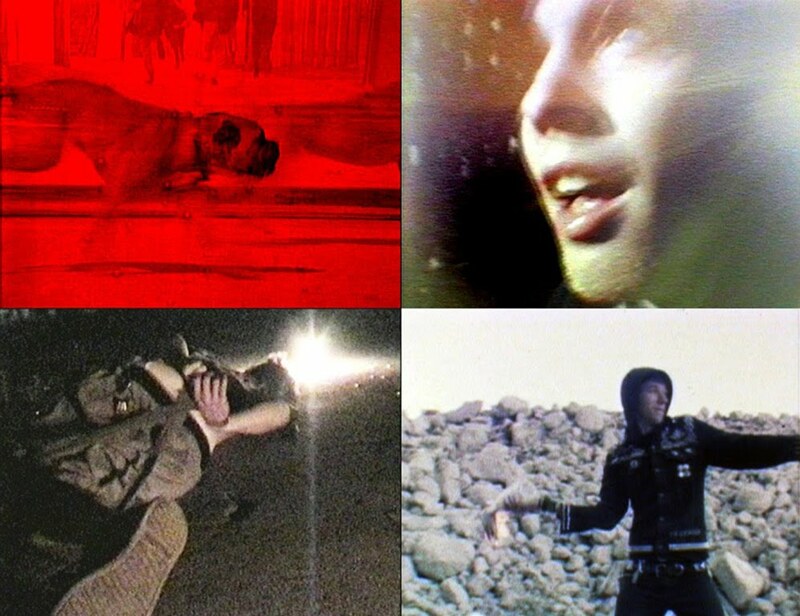 His work incorporates a variety of media, predominantly collage, film and photography, and his versatility has allowed him to collaborate with such notable artists as AA Bronson, Lady Jaye & Genesis Breyer P-Orridge, Dennis Cooper, Kevin Drew (of Broken Social Scene), director Carter Smith, and G.B. Jones. Treleaven first came to attention in 1996, while still a student, with his initial foray into filmmaking, Queercore. The movie proved to be a decisive documentary of the gay punk scene in the 1990s, which he followed with the publication of his zine, This Is the Salivation Army, influenced by the writings of W.S. Burroughs, Breyer P-Orridge and the seminal Rapid Eye publications. Treleaven's work continues to focus on concepts of sexuality, psychology, mysticism and perception. He lives and works in Paris. Terence Hannum is a Chicago based artist and musician, who plays in the band Locrian. he has exhibited at Western Exhibitions in Chicago and in the fall of 2010, he presented solo shows at the Richard Peeler Center on the campus of DePauw University in Greencastle, Indiana and at Peregrine Projects in Chicago. Other solo shows include the Museum of Contemporary Art in Chicago, Light & Sie in Dallas, 40000 in Chicago and The Suburban in Oak Park, Illinois. His collaborations with artist Scott Treleaven have been shown at Kavi Gupta Gallery in Chicago the The Breeder in Athens. Hannum’s work has been written about by Dennis Cooper, in Art Papers, Artnet, Beautiful/Decay, the Chicago Tribune, ArtUS and Punk Planet. His zines and publications are in the collections of the Museum of Contemporary Art in Chicago, School of the Art Institute of Chicago, Indiana University, Herron School of Art and Design, Columbia College Chicago, DePaul University. Hannum received his MFA from the School of the Art Institute of Chicago. Thanks for watching. Not sure what's up should be a feelies video after Bill Orcutt. Try this..
BILL CLINTON...you have an EXPLOSIVE COMPANY with RICKY the GREYHOUND and KILLA HILLA? And you get FRENCH FEES with MEL MARTINEZ and LESLIE CARON? Because we got more bad news for "y'all". I know that 's not the way you interpret it ...but we'll make it " easy". Your " freand" ....yeah...." Harry Reid".